You are probably familiar with tools such as Google AdWords and Google Analytics, so you think you have a pretty good handle on your marketing campaigns. These tools give you insights about your online traffic. But where are your telephone inquiries coming from? Even though many customers do search for information and make purchases online, statistics show that 65% of customers would rather contact a business by making a phone call. Therefore, if you don't have phone tracking, you may be missing an important piece of the marketing puzzle. 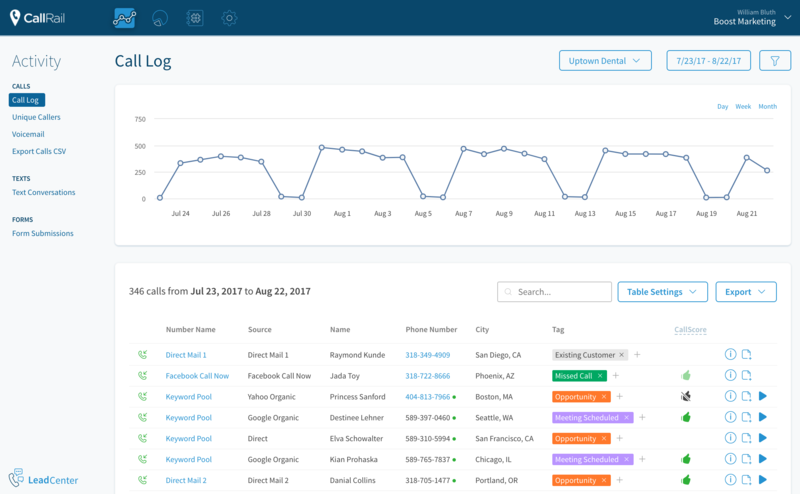 Phone tracking can show you what marketing pieces are generating calls and which are not. This information helps you hone your ads and plan your advertising budget. Tracking your phone calls eliminates the guesswork. It helps you make data-driven marketing decisions and provides valuable information which will help your business grow. How does it work? With call tracking, specific marketing activities are assigned unique numbers so that they can be measured separately. Phone number tracking systems record how many calls each number receives, and some let you record your phone calls. Let's take a look at some of the benefits of call tracking. ROI is an essential performance measure. You need to know that your marketing costs and efforts are resulting in profit. Everyone wants to improve their return on investment. But how do you do that? Track calls from your website as well as your pay per click campaigns. Analyze the information to determine what ads, offers or other marketing strategies are providing new leads by volume. Track your close rates. Knowing the percentage of times your sales team members close sales will help you increase close rates. Use the data to tweak your advertising to get the most from your money. Good call tracking must provide accurate conversion metrics. Phone calls have 30-50% conversion rates. 75% of these calls come from mobile phones. Previously, it was difficult or impossible to determine the source of a call. By using unique phone numbers for an ad, you can trace the source of the call back to a particular campaign. Once calls come into your business, you can follow a potential customer through the system. This can reveal what options they choose, where their call is routed to, or how long they are on the line. Call recording also allows you to monitor conversations between employees and leads and customers. You can analyze employee skills and tactics to improve conversion rates. Using real, accurate statistics, you can set goals for your staff. Taking call tracking to a more advanced level, many systems allow you to track call metrics through a CRM. This means businesses can make decisions using the revenue generated through specific marketing efforts, rather than just using guesswork from the number of leads. Companies making revenue based decisions have a significant advantage. 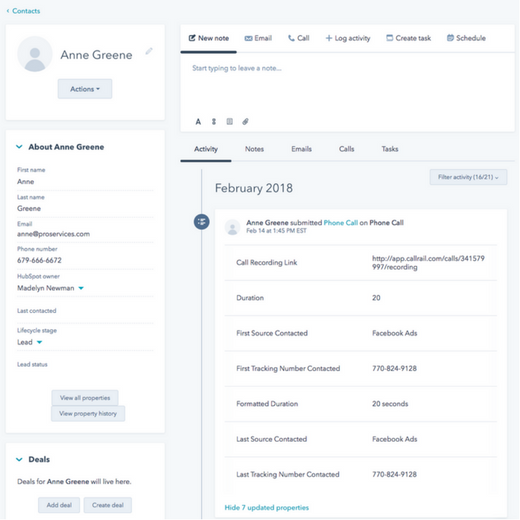 When taking a customer call, the representative can immediately access the customer's record, including ad source, purchase history, and location. The representative is uniquely positioned to pitch just the right product at the right time. Effective person-to-person communication is sometimes referred to as conversation intelligence. One on one phone conversations contain a wealth of information that is difficult to obtain from website clicks. Call recording provides the opportunity to listen to your customer. You can record all incoming and outgoing calls. This allows you to hear what questions customers ask, where their attention is focused and what their concerns are. You will be better able to qualify leads and how to best spend your efforts or marketing budget. However, listening to every recorded call may be unmanageable. Conversation intelligence also refers to marketing insights on call analytics and lead quality. There are a number of ways to make analyzing calls more efficient. These include transcriptions, artificial intelligence, or keyword spotting, which searches your transcriptions for custom keywords and phrases. It also provides an opportunity to assess the effectiveness of your call handlers. How do customers respond to each representative or to particular sales techniques? Instead of training employees in skills they have already mastered, you can set goals and coach your employees on the skills which need attention. Their success rate and confidence improves. Meanwhile, you come to know your customers in a whole new way. Perhaps the most important goal of call tracking is to improve customer experience. Customers like to use the phone to interact with a business. In particular, customers who have been searching for information on their mobile phones would rather make a call than fill out an online form. 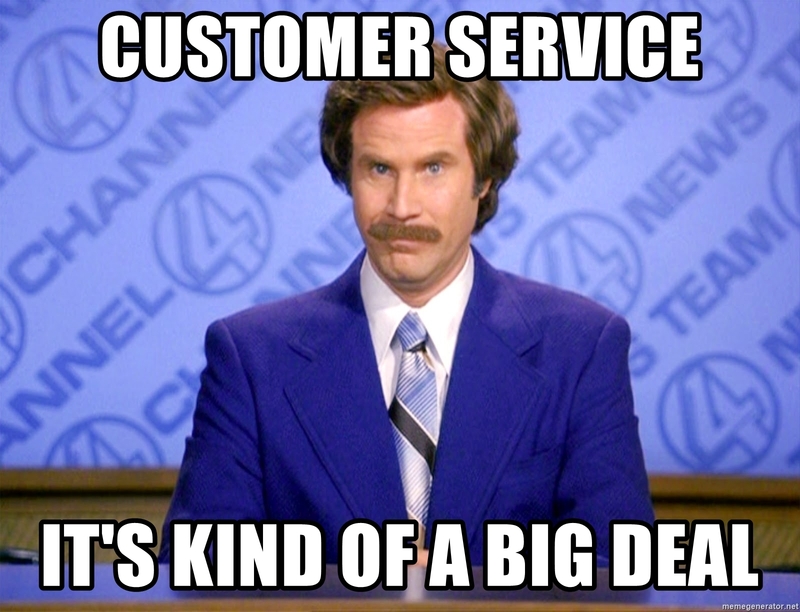 So just giving them a number to call improves their customer experience. For any business, there are many types of customers. They experience a product or service through multiple channels. They may have different needs, interests, buying power, and loyalty to your company.Traditionally, companies would sample a small group of customers and then extrapolate their responses to the customer base. But today, each customer wants his or her voice to be heard and they are sharing their opinions immediately on various social media channels. In order to remain competitive in this marketplace, it is critical that businesses accurately assess the entire customer experience. The call tracking helps you know what ad prompted the customer to call, what it is they actually want, what questions were asked, what concerns were expressed, where they are on the buyer's journey, and ultimately if the sale was made. In many businesses, each department has their own agenda. However, the insights you gain when call tracking can be quickly shared with customer service or sales representations, so that the customer experience is always improving. Even though we live in a digital world, customer experience and human interaction remain vitally important. A bad customer experience will ruin a sale, no matter how good the product. An effective call tracking system will help you track a customer from the initial marketing campaign, through the phone system, through interactions with customer representatives, right t o the closing. Over time, the data gathered will teach you more about your customers and how to streamline the whole customer experience.